James Arthur apparently got a giant tiger inked on his chest. James Arthur made a confession a year back that he regretted 'every single one' of his varied collection of tattoos. Contradicting the former statement, the singer-songwriter added a new tattoo to the ensemble. 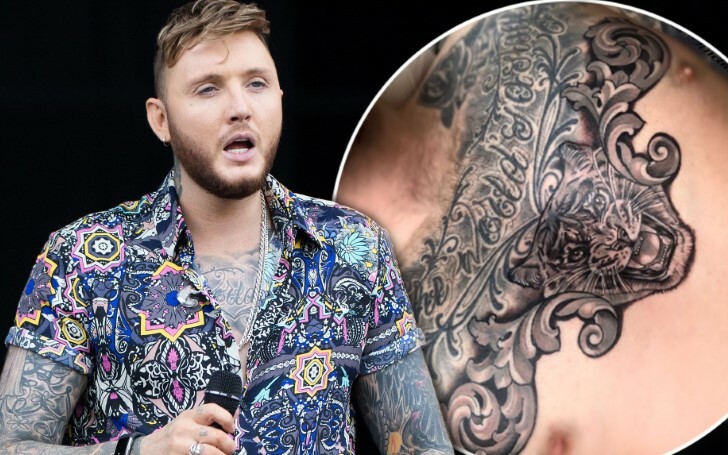 James Arthur's change of heart became apparent in the public eye as the 31-year-old, got some new ink on Tuesday. As a matter of fact, the elegant tattoo boasts a giant tiger face in his left chest. The news of the new addition broke through to the media as the star's tattoo artist, Clara Sinclair posted a picture of the giant inking on her Twitter account. In fact, the tiger face on James' chest is an addition to his former tattoo that features Shakespeare quote '[all] the world's a stage'. Finished this up on the lovely @JamesArthur23 yesterday. The proof is in the puddin, you can be at the top of your craft and still be an awesome, down to earth human. Thanks for the trust and the great banter. Replying to the Tweet of his tattoo artist, he revealed his intentions to get more inks in the future. "Look forward to doing more with you! You’re the women to go to for great tattoos and great vibes:)! And great cats!" Earlier speaking to BANG Showbiz at Capital's Summertime Ball last summer, James maintained that he wished he hadn't had so many tattoos. "I regret every one of them, yeah. Every single one, yeah." In an attempt to boost his Hollywood career, James underwent laser tattoo removal on his most visible body art back in 2016. In addition, the owl on his neck, a tear on his face and a crown on his hand were the ones that got lasered in an effort to ensure his success in the movie industry. "I've already had nine sessions. They take a while and cost a lot of money but it will be worth it." "I really want to do acting and don’t want to be typecast because of my tattoos." Though the singer previously maintained that he had regrets about every single one of his tattoo, the tasteful tattoo is sure a masterpiece.